My Uncle Norman passed away New Year's Day. I will be observing shiva with my family and not blogging this week. Mom and Dad this past summer. Mom's birthday is in August and Dad's in September. It is so hard to believe this was just five months ago. Technically "Uncle" Norman was not my uncle, he'd always remind me of this. But I would in turn insist that he was/is/will always be. Because he "felt" like my uncle and I loved him as such. Aunt Sallie, his wife and my mother are first cousins. My grandfather died when my mother was a very little girl, so the aunts and uncles of their generation along with my grandmother Reggie helped to raise my mom. Sally and Sallie are six months apart, they spent so much time in each other's homes growing up, in many ways they were like sisters. As teens and adults the Siegel's (my parents) and Olson's (my "aunt" and "uncle") remained dear friends. In turn, my cousin's Joe and Sharon were very close to me and my three siblings. Sharon is a year older than me, closest in age of all of my cousins and siblings. Our families gathered together for nearly every holiday religious and secular even into adulthood with our own children! Sharon's husband Jerry and my husband Gordon became fast and lasting friends when we were all dating! Like our parents we were also fairly young when we married. Both our guys are musicians and computer experts. Gordon and Norm had a special relationship in that they were both fascinated by technology, and would talk for hours at family events. Norman was also a gifted photographer, among other talents and achievements. Sometimes, over the past ten years when we saw each other, he and I would talk about my work as a SoulCollage facilitator, meditation teacher, and photographer and how all of these practices were/are interwoven as ways to explore the human heart/psyche/spirit. He was curious about what I was learning/doing/teaching. I am grateful for this connection, and the conversations we had. I will always remember how when I was a little kid (because I was especially small, I suppose) he called me "peanut." And when he didn't call me "peanut" he called me by my full name, Laura Rose. Never just Laura. He made me feel special. I think all the kids felt that way about him, each of us special to him in some way. Perhaps it was the twinkle in his eyes, ready smile and infections laughter that told us so. I'm so grateful that this kind and generous man was and will always remain part of my life, held in my heart with love and tenderness. Zichrono livracha, may your memory be for blessing dear Uncle Norman. my daughter Belin is 21. We celebrated last night because her dad and I will be traveling to Philadelphia for the funeral on Monday, today. Love you Bigger than the Sky. Age one, all dressed up and playing with fistfuls of dirt. My daughter, wasn't she glamorous? This was from her prom, one of my favorite photos. I think she looks like a movie star. Ironically there was an ice storm Saturday evening, the same as the night before she was born all those years ago. Time is so strange the way it weaves in and out, never a straight line, more a wavy spiral. And I am every grateful for the expansiveness of the human heart, able to hold joy and sorrow and so much more simultaneously. See you here for I Heart Macro 86 next Sunday. So sorry for your loss, Laura. Will be thinking of you. He looks like a lovely man. Am sure he will be resting peacefully, welcomed by angels. 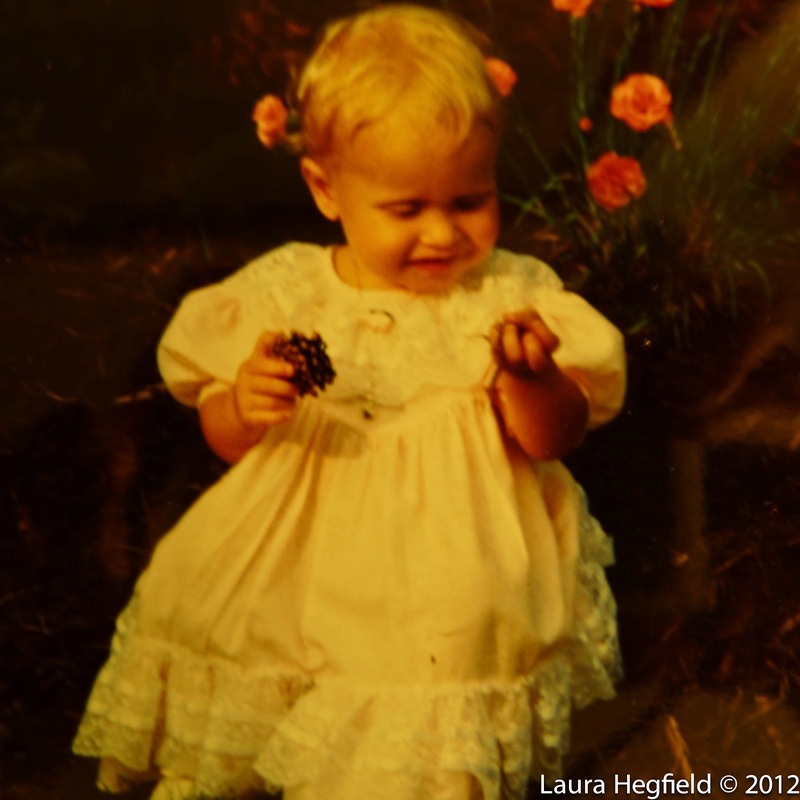 I love the photos, especially the one of you, age one, all dressed up, playing with dirt! Your daughter is very glamorous! Beautiful. Gentle steps Dear Laura as the circles of life whirl about you. So sorry for your loss, dear. What a way to start the new year. Things will get better. I am so sorry for the loss of your uncle. He sounded like a very special uncle indeed. My deepest sympathies to you all. You daughter is beautiful Laura. I wish her a very happy birthday and I am sure Uncle Norman is smiling on her today. Keeping all of your family in my thoughts and prayers. Peace to you and yours as you celebrate your "uncle's" life as well as your daughters birthday. I'm so sorry for your loss, Laura. So sad for you to start the New Year by loosing a beloved person ! So sorry for your loss! But he will stay alive in your memory! Your daugther looks very glamorous indeed! So sorry to hear of your Uncle Norm's passing Laura. He sounds such a wonderful person, you were blessed indeed to be in each other's lives. Hope your daughter had a great birthday. Thank you Laura for sharing some of those waves of life that are washing over you now. It sounds like your uncle had a good life, full of love. Your daughter is so beautiful. May she discover more and more beauty as she approaches maturity. Have a good week with family. Oh Laura, I'm so sorry for your loss. Your Uncle Norman sounds like he was just a wonderful man. My heart aches for you and your family. What a fitting photo of the cracked ice/broken heart. Safe travels, my friend. And your birthday girl is just lovely. You're daughter does look like a movie star in that photo and am sorry to hear about your family passing. Beautiful photo shots they all look excellent my friend. I am sorry about your loss! Blessings to you and your family while going through this time! And happy birthday to your daughter!! Blessings to you. Your uncle sounds like a very special man. Your daughter does have the glam look there. Sorry for your loss. I am sorry to hear about your recent loss. May sweet memories provide peace and comfort. On a happier note -- your daughter is beautiful. I love that photo of your daughter! 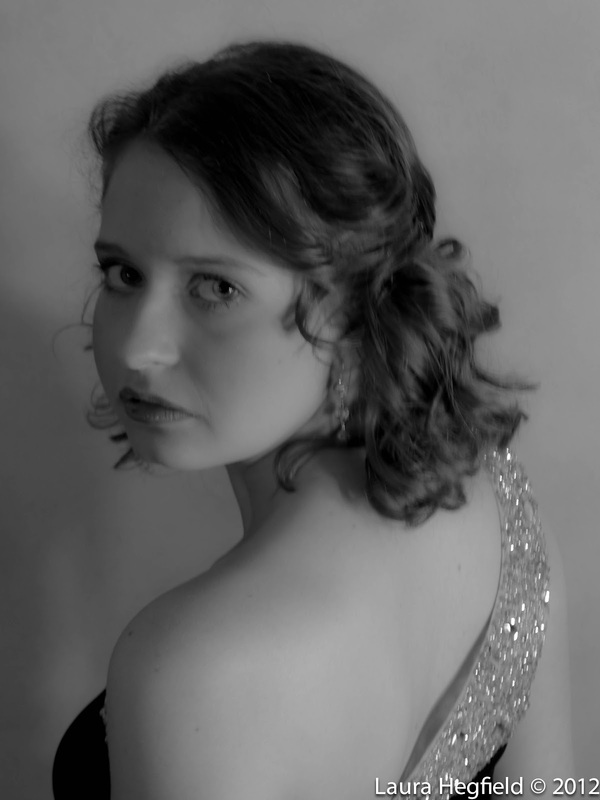 I was thinking it looked like those 1940's actress photos.